The best editor helps you easily edit Instagram videos with powerful features. Within recent years, Instagram has highly paced and gained popularity like no other social app. People love to use it for various reasons. Well! If you are running a small business, then Instagram is a vital social platform for you to promote your brand. A large number of influencers target Instagram to add videos in order to get more likes, comments and followers. If you are thinking to do the same, you must need some video editing apps to make your video look better for attaining likes. 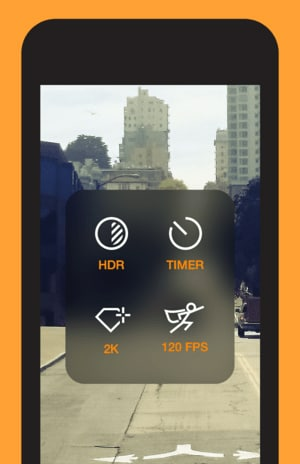 We are here, going to introduce you some Instagram video editing apps for iPhone and Android. Hence, explore the apps and make your video deserving more love. Have you ever got baffled before choosing an Instagram video editing app? Well what makes a good video editing app? While choosing the best app, consider the following three points. User-friendly: The most important thing to be a good editing app is it should be easy to use. You would never want make use of complex app that will eat up more of your time and efforts, would you? More Features: There should be good and plenty of features. A great video editing app for Instagram must have some general features like background color, themes and also some creative features. So, prior to choosing, ensure to go through the features list of the app. Directly upload video to IG: The last must-have thing in an editing app is directly uploading and sharing facility. After all, you’re doing all that for Instagram and having the option of directly uploading will save much time. 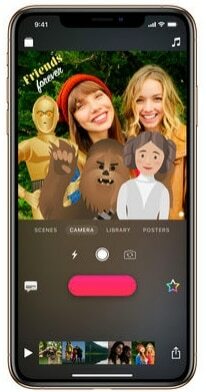 While speaking about the best Instagram video editing app, you can go with FilmoraGo. It is one of the most powerful and considerable editing application allowing you to enjoy a good package of features. Be it reverse play, slowing down the video speed or adding fast motion effect, trimming, attractive transitions, it gives you all the advantages. Moreover, all can be done in hassle-free way. All in all, it is the best option one can have. Just takes three easy steps i.e. select, create and share and get your video done. Choose from loads of themes and customize the video your way. It also supports various languages and you can share easily on Facebook, YouTube, Insta and on various platforms. The next we have is Horizon. Identifiable by the name, it enables the users to capture horizontal photos and videos irrespective of how you hold the device. Whether you hold your Android phone sideways, vertically or in a continuous rotating way, this Instagram video editing app shoots horizontally and keep intact. If you’re a regular or doesn’t matter if not-so-regular Instagram user, you are unsurprisingly familiar with Boomerang. To add fun to your videos, using boomerang is a great option as it allows you to capture short videos, of 3-5 seconds duration to be precise and it keeps running in loops back and forth. No need for sign up. Just download and begin to record. Can join 10 photos and speed up the video. Then you can enjoy it in forward and reverse loops. YouCut is basically a video trimming app and offers other features too. This video editing app later added plenty of other video editing features like changing video background, rotating, flipping and controlling speed. Let’s explore more features of it. 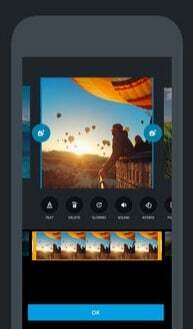 Merging videos, photo slideshow, video aspect ratio changing, all is possible with this video editing app. 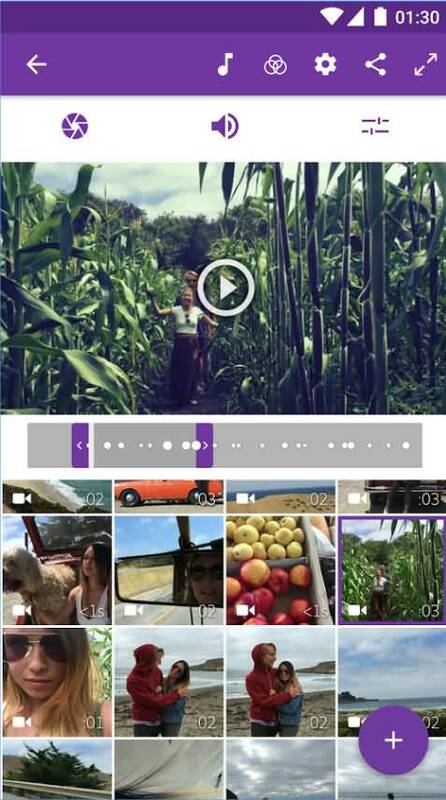 Adobe Premiere is the next free video editing app for Instagram. It lets people make high-quality videos and one can open the clips in Adobe Premier CC for more enhancements. The name is a little strange but yes it is one of the Instagram video editing apps for iPhone. It provides 30+ professional live filters. 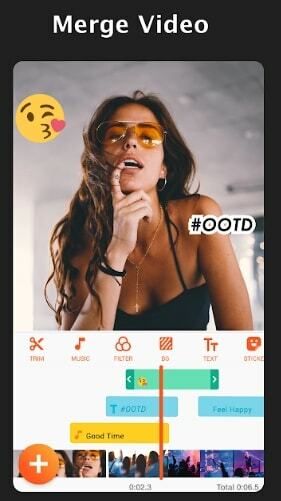 Having great effects, graphics and fun text, Clips is the next in the list when you search for Instagram video editing app with music. It is free to download and one can do full justice to the creativity when they have Clips for its amazing and attractive features. Appearing of automatic text is the best part of this video editing app. It means you just have to speak while shooting the video and the app will detect your voice and display same text onscreen. Then just adjusting text and punctuation remains your job. You can pinch and drag when recording. It is useful when you wish to highlight something in the video by zooming it. With this video editing app for Instagram, one can have fun with beautiful transitions and effects. It enables users to add 200 photos from gallery. There are abundance of customization options available that you can enjoy. This Instagram video app with music lets you choose from over 100 free songs and supports various formats like MP4, MOV, M4A etc. 26 themes options, fonts filters, the app has it all what one needs to create an awesome work. 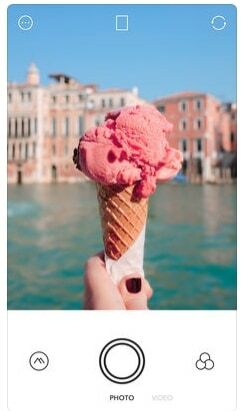 Being entitled with various achievements like “The best video editor for iPhone” or “Gold Award Winner”, Splice is another great option for Instagram users. It covers wide range of editing tools including zoom effects, playback speed adjustments, filters, background colors and more. Filmmaker Pro is last in the list but yes not least. Containing an enormous list of advantages, it is a yet another great choice for you. The vast list includes editing tools, audio track option, text overlays and the like. Drawing tools and animated stickers can give fun touch to your videos. Composition fade in/out option and 4k video support is available. We shared your various Instagram video editing apps to assist you in your hard times. We know every Instagram user wants to highlight some or the other talent of their through videos. So, try among these options according to your phones.